In which the crew finds themselves lost without their glorious(ly egotistical) leader for the week, still trying to make up for the loss with a cavalcade of reviews and the triumphant return of the group's token female. This results in discussion about an easy-fix retcon involving comfort food, the crime of removing a mustache, going all fangirly over The Dark Knight Rises, and unfortunately mourning the loss of another two iconic members of the industry. This episode will be lots of fun for the cannibals in your life. 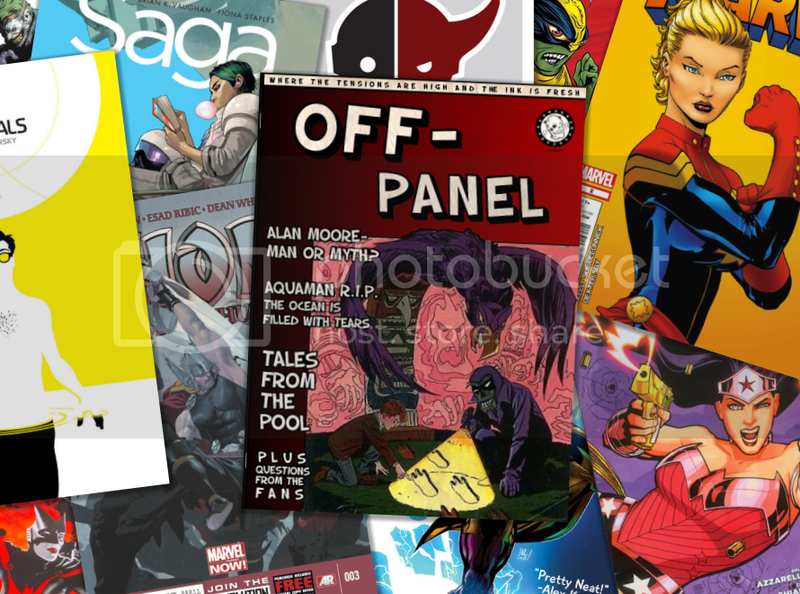 Featured in this week's episode: Reviews of Dark Horse, the group's latest DCnU picks, and two Marvel books - fronting topics of the new "rise" of Bat-mania, Image's new initiative, and favorite Captain America stories in the shadow of his creator's passing.